 People examine the piece of debris in Khanh Hoa Province, located in south-central Vietnam, on February 18, 2016. 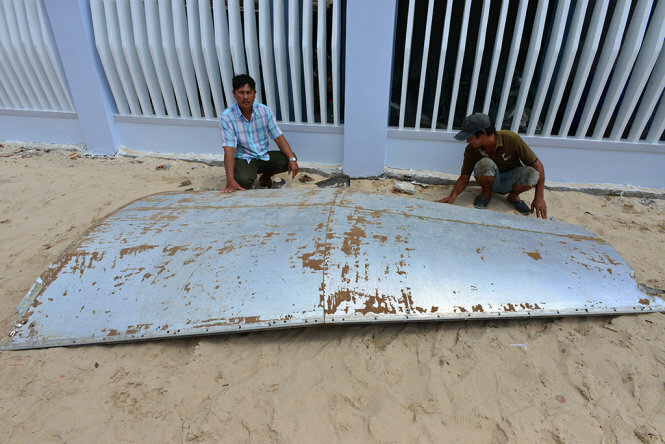 The military unit of the south-central Vietnamese province of Khanh Hoa is investigating a piece of debris, believed to be a part of an airplane, found offshore by a local fisherman earlier this month. On February 11, Le Tan Binh was fishing 42 nautical miles (78km) off the province’s Dai Lanh Beach when he spotted a strange floating object, he recalled to authorities of Van Ninh District during a house visit to examine the debris on Thursday. The fisherman collected the object and brought it ashore. According to the fisherman, it is made of aluminum and weighs approximately 100kg. The widest part of the metal object measures 2.1 meters and the narrowest section is 1.1 meters. Binh said he was so busy with other fishing journeys that he had not had an opportunity to report the discovery to authorities. On Wednesday, a group of photographers came to Binh’s neighborhood for a shoot and were told by local residents about the debris. They immediately notified the press of the incident. Vo Hoan Hai, Secretary of the Party Committee of Van Ninh District, told reporters on Thursday that a local military unit is investigating the object. “Initial reports suggest that it is plane debris,” Hai said. The beach where Binh found the debris is part of the East Vietnam Sea. There have been no significant air crashes in nearby areas in recent times, except for the mysterious Malaysia Airlines flight MH370, which disappeared on March 8, 2014, en route from Kuala Lumpur to Beijing. The flight last made voice contact with air traffic control when it was over the East Vietnam Sea, less than an hour after takeoff.